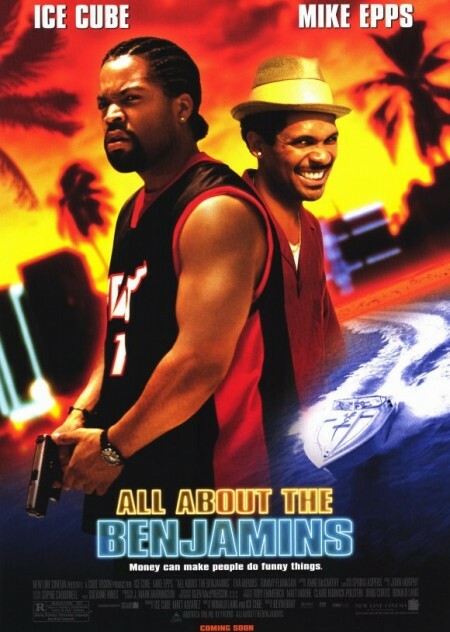 Cube plays Bucum Jackson, a Miami bounty hunter for Martinez Bail Bonds who’s tired of his dangerous, unprofitable profession and wants to start his own private investigation firm. Lacking stake money, Bucum is forced to hunt down a small-time grafter named Reggie Wright (Epps), a fast-talking confidence man who’s crossed his path before. Except that this time, Wright tries to avoid his pursuer by hiding in a van being driven by a pair of murderous diamond thieves who’ve just made off with 20 million dollars worth of stones. They’re in the employ of lethal crime lord and yacht broker Williamson (Tommy Flanagan), someone that neither Reggie nor Bucum is anxious to cross, but it seems that Reggie left his wallet in the van, a wallet containing a winning lottery ticket worth 60 million dollars. The hunt is on for big money as the mismatched duo tries to outfox a wily syndicate for both the ticket and the precious gems.